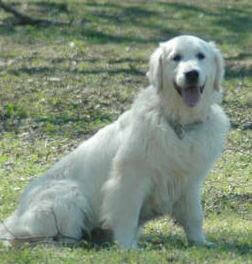 When you think of English cream golden retrievers, Kayla is one you would think of. She has had some beautiful puppies here at Goldwynns. We imported Kayla from Slovakia. She is always happy and looks like she smiles all the time. She has been a joy to own and be a part of our life here. Her puppies always have wonderful temperaments and love the water. 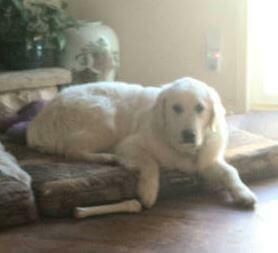 She is like the big sister to our other goldens and barks when they are doing something wrong. 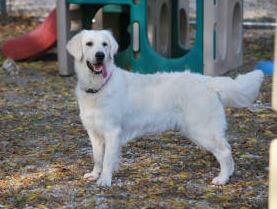 She likes to fetch and play ball and is very smart and trainable as are her puppies. She has passed her health clearances. She is an awesome mom and loves her babies. 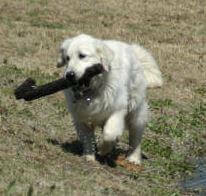 One of her sons is a master hunter and some are therapy dogs, but most are just awesome members of the family. 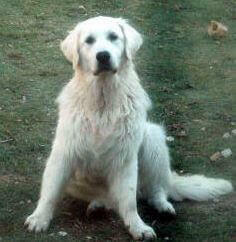 Contact us if you would like one of her awesome pups in the future.